The Tax Cuts and Jobs Act of 2017(TCJA) included many headline-grabbing changes for businesses like the lower corporate rate and the 20 percent deduction for pass-through. One important provision that hasn’t gotten as much coverage is a change to tax accounting rules for small businesses that will allow more growing small businesses to qualify for smaller tax bills. For tax years beginning after December 31, 2017, business taxpayers with annual average gross receipts for the last three taxable years of less than $25 million now qualify to use the cash method of accounting when calculating taxable income. This increases the limit from the pre-TCJA cap of $ 5 million over the same period. Taxpayers who might qualify for the new higher threshold need to re-evaluate their accounting methods, as a switch to the cash method can potentially yield an immediate tax benefit. Eligible businesses that have been using the accrual method but now want to switch to the cash method will need to file an accounting method change Form 3115 with the IRS to switch to the cash method of accounting. An accounting method change and Form 3115 are filed by the due date (including extension) of the tax return for the year of change. Accounts payables, and accrued expenses. 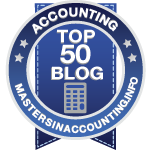 Businesses will need to analyze these balance sheet items to determine if the cash method of accounting creates a favorable adjustment in the current year. When making an accounting method change, the law requires the taxpayer to calculate an adjustment amount for items on the opening balance sheet for the year of change. A net positive adjustment is absorbed into taxable income over the next four years; a net negative adjustment is claimed as a deduction in the year of change. The illustration above would result in a favorable tax deduction of $390,000 in 2018. What does this $390,000 deduction mean from a tax savings perspective? In our example, the accrual to cash adjustment will save the taxpayer an estimated $81,900 of Federal Income Tax ($390,000 x 21 percent tax rate) in the year of change. As you can see, the method change can provide the most significant value in the first year. Companies that use the cash-basis method of accounting for tax purposes recognize revenue and expenses when the money comes in and goes out. Cash-basis entities generally have opportunities to postpone revenue recognition and accelerate payments at year-end. Under the cash basis, expenses are deductible even when a line of credit or other credit facility is used to pay expenses/invoices. This strategy can temporarily defer the company’s tax liability. For smaller businesses, the cash method of accounting for tax purposes provides a more accurate reflection of cash flow and does a better job of matching revenues with the corresponding tax liability in the year that the cash is actually received. 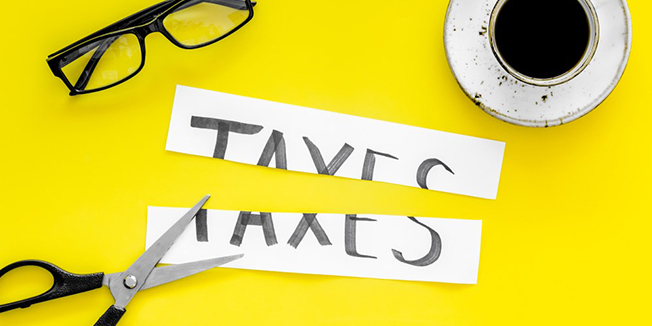 Although the taxpayer will remain on the accrual basis for GAAP and financial statement purposes, switching over to the cash basis for tax reporting changes the year-end tax planning conversation and strategy. What happens if the taxpayer exceeds the $25 million in a future tax year? Eligibility is determined annually based on the average gross revenues for the prior three years. If a taxpayer’s average gross revenues exceed $25 million in the future, the taxpayer will be required to switch back to the accrual method. The deferred income related to that change is added back over a four-year period, similar to the adjustment described above. The TCJA widens the pool of eligible taxpayers who qualify for the cash method of accounting. In order to take full advantage of the provision, businesses should act quickly to determine if they benefit from the cash method and file the necessary election with the IRS to implement the change as soon as possible. To learn more about changing from accrual to cash-basis for tax purposes, whether your business qualifies and how it might benefit, please call the Freed Maxick Tax Team at 716-847-2651 to discuss your tax situation, or complete and submit the form to schedule a complimentary Tax Situation Review..